The cases of 28 parents convicted of killing their children will be investigated further, the Attorney General has announced. Lord Goldsmith told the House of Lords he had written to the families' solicitors about the review. But in 180 cases out of 297 examined, he will take no further action. The decision follows a review of nearly 300 cases, ordered after Angela Cannings was cleared by the Court of Appeal of murdering her two sons. The Attorney General looked at cases over the last 10 years where children under two years old died, especially where resulting convictions relied almost entirely on medical experts. The 28 cases could be looked at again by the Criminal Cases Review Commission (CCRC). It is the independent public body set up to investigate suspected miscarriages of justice in England, Wales and Northern Ireland and looks at whether convictions or sentences should be referred to a court of appeal. Alternatively, the defendants could take their case directly to the Appeal Court. "If unfair accusations or, worse still, convictions for the death of a child occur, it increases the tragedy of what is already a devastating event," said Lord Goldsmith. Action was being taken in the 28 cases, he said, because "there was cause for concern." Of the 28, he said three were convictions similar to the Angela Cannings case - involving sudden infant death - and in the remaining 25 there were other concerns about the medical evidence. Lord Goldsmith said the remaining 89 cases of the 297 were identified as shaken baby syndrome and he had decided not to refer them to the commission at this stage. He said he would not be setting up a public inquiry into the Cannings case, nor any others. Liberal Democrat frontbench spokesman Lord Thomas of Gresford said the Cannings case was a warning on using a single expert witness. In the Commons, Liberal Democrat Dr Evan Harris (Oxford W and Abingdon) said miscarriages of justice should not just be blamed on expert witnesses. Valuable work was done by them, he said, and it was increasingly difficult to find paediatricians willing to do child protection work. Ms Cannings, 40, was cleared in December 2003 of murdering her two sons, seven-week-old Jason in 1991, and 18-week-old Matthew in 1999. A former shop assistant, from Salisbury, Wiltshire, always maintained the two boys died of Sudden Infant Death Syndrome (SIDS), or cot death. Angela Cannings told BBC News on Tuesday: "If there is clear cut evidence, obviously a crime has been committed. "If there isn't, and the experts cannot agree on the cause of death, that case has to be dismissed, putting families out of the misery and trauma they've been through." She said she hoped the reviews would be quick, with just conclusions. But she was disappointed with the number of cases going forward, and the conclusion on shaken baby cases. Appeal Court judges in her case said where experts disagreed about a decision to prosecute a parent for killing their child, the case against them should continue only when there was extra evidence available. Hers was one of a number of high profile cases in which women were accused of killing their children and doubt was cast on expert witness evidence. In June 2003 pharmacist Trupti Patel was found not guilty by a jury of killing her three babies. Mrs Patel, from Maidenhead, Berkshire, denied killing her sons Amar and Jamie, and daughter Mia between 1997 and 2001 - none of them survived beyond three months. 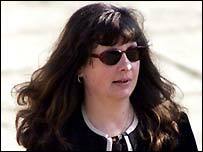 Solicitor Sally Clark had her conviction for murdering her two sons overturned in 2002. She had been convicted of smothering 11-week-old Christopher in December 1996 and shaking eight-week-old Harry to death in January 1998 at the luxury home she shared with her husband Stephen. The 38-year-old, from Wilmslow, Cheshire, had always protested her innocence since being jailed for life in November 1999 at Chester Crown Court. Paediatrician Professor Sir Roy Meadow was an expert witness in all three cases.